"White Restaurant Famous White Beehoo lives up to its name, beehoon soaked in generous eggs gravy"
Happy Birthday everyone! Today is Ren Ri - the day human beings were created. My colleagues and I decided to celebrate our birthdays together by having a hearty lunch instead of the usual canteen food. 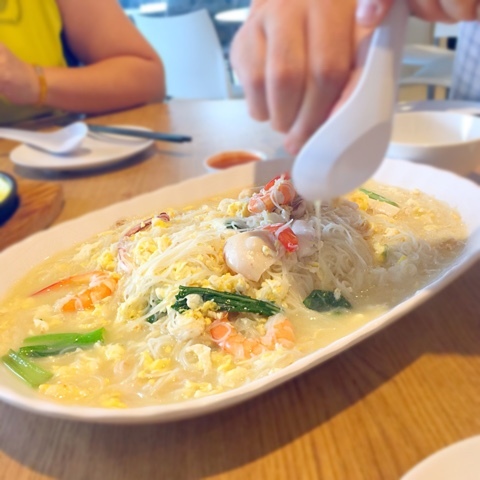 I was looking forward to it as I have been to the Punggol Settlement branch once and this time round, I could not wait to blog about it and share my experience with you. 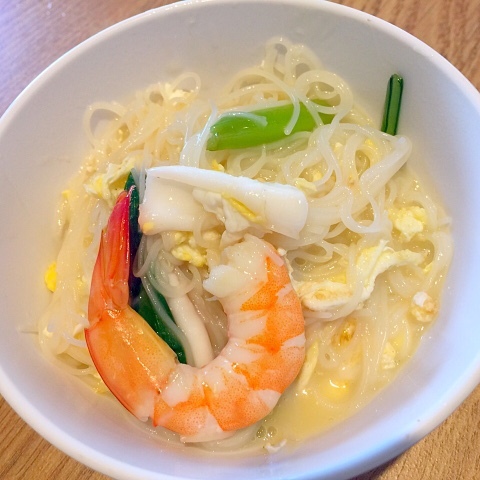 Of course, it is a must to order their specialty - White Bee Hoon. When it was served piping hot, the generous soft eggs mixed with the thick broth, was an inviting sight. The sotongs and prawns looked fresh. There was a lime perched on the peak of the White Beehoon as if saying "Squeeze me, it is a must!" I love eating lime juice together with beehoon, whether it is xin chou mi fen or wet beehoon. Look at the colour and firmness of the prawn! The prawn and squids were sweet and fresh. As I put a mouthful of beehoon with its broth, a familiar comfort washed over me. I like this version because it is not heavily loaded with MSG, soya sauce, oyster sauce or magic sauce. I could taste the flavour of the sea creatures in the broth and it was not overpowering. The fragrance of the eggs was actually an important factor in this dish. Mr D also enjoyed it because he felt that it was very well balanced. The hotplate oysters was a huge letdown. 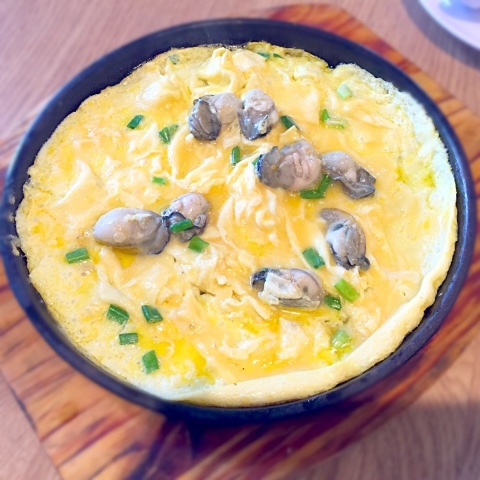 The eggs were bland and the hotplate served as an ornament. You could easily find nicer versions in any hawker centres. Mr D felt that the oysters were not as fresh as expected. All of us did not enjoy this dish. This dish is also the reason why my overall rating is only 3.5. The venison was very well done. 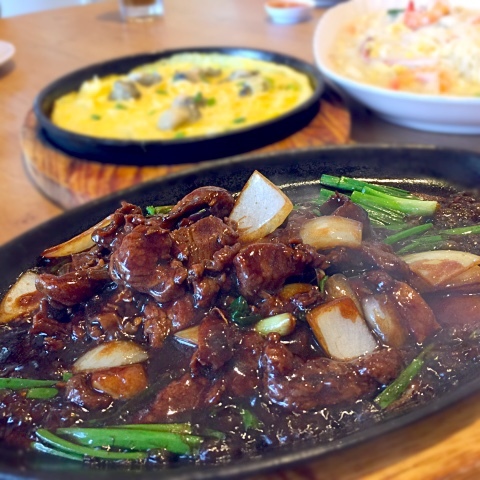 The thick black pepper sauce was not too peppery for my palate and I especially like the meat because it tasted like good beef. Beside the White Beehoon, this is my other favorite dish of the place. I love salted egg and this is a nicely done version of this common dish in Zi Char places. 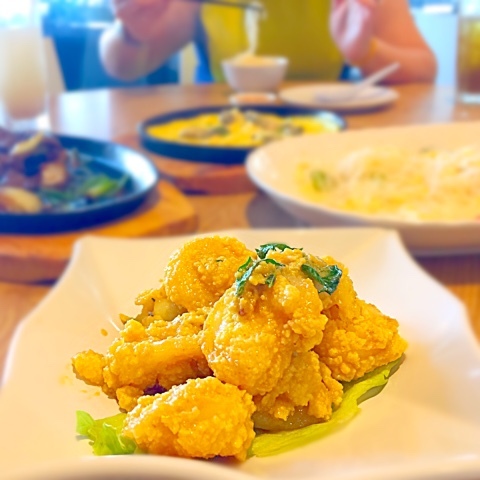 The slightly crisped battered prawn was coated with a generous amount of salted egg sauce. The prawns were fresh and the size was big enough for my liking. I like big and firm prawns. Any restaurant that sells good food in Punggol is chic to me because Punggol is the IN thing, especially Punggol Settlement. 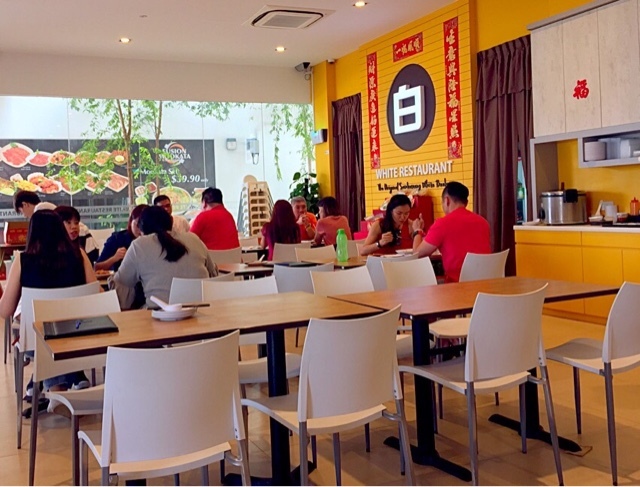 If you want to eat Zi Char in an air-conditioned place at reasonable prices, try White Beehoon restaurant. You can even gaze at the sea while eating. 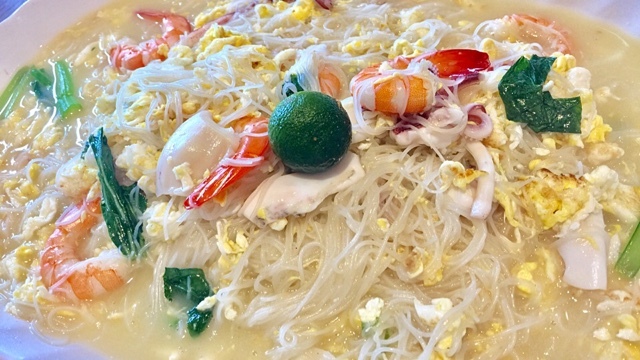 As for the white beehoon, don't expect fireworks to explode in your mouth; it is after all, a simple dish, that brings comfort to me whenever I eat it. The last order for lunch was 1.50pm.